Sister Outsider, photo (c) Robertine Romeny. Part of the Atria archive. 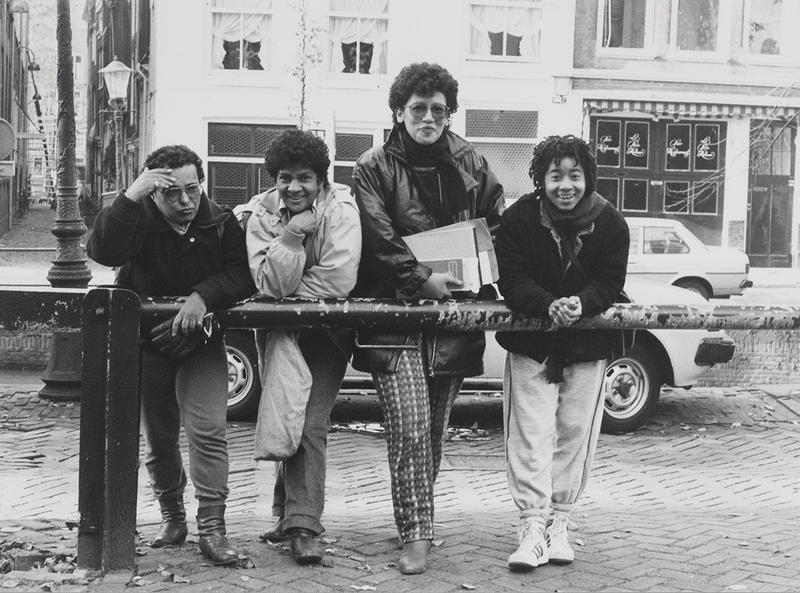 Included in Anne Krul's 'Opgehangen Leestafel' in exhibition Diasporic Self. 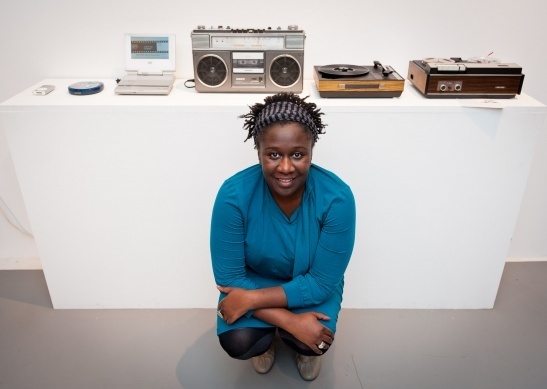 In het kader van het project/de tentoonstelling Diasporic Self: Black Togetherness as Lingua Franca vindt op 2 februari het event Diasporic Self: Caring as Lingua Franca – Fiction & Myths of Black Womxnhood plaats, in samenwerking met Dipsaus Podcast. Caring as Lingua Franca – Fiction & Myths of Black Womxnhood looks into the historical and contemporary ways Black Womxnhood is fictively constructed and mystified. To think through Black Togetherness in the context of #FORTEU is to carefully sit with the realities, agency and genealogy of Black womxn and their existence in contemporary Europe. What are the myths? 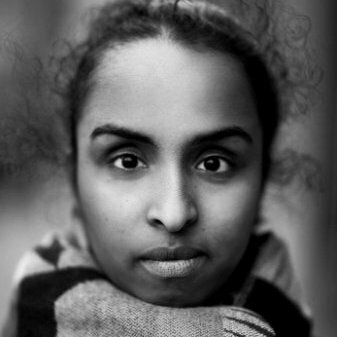 What is the fiction that molds, produces and reshapes these realities across communities in the Diaspora? 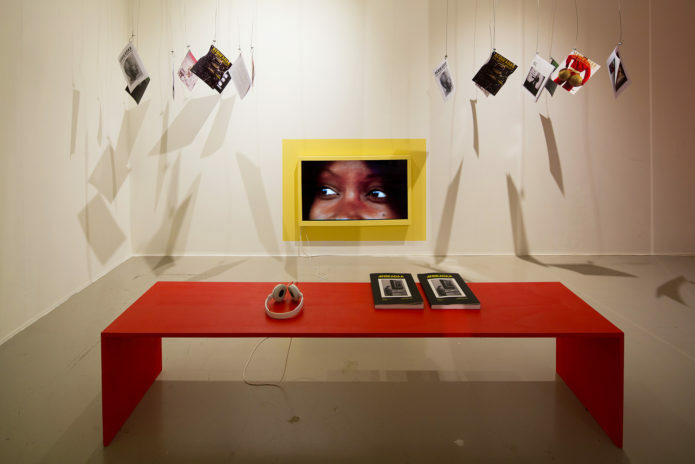 Together with Ebissé Rouw, Mariam El Maslouhi, Olave Nduwanje and audience members we look and shift through popular culture and literature references to offer an alternative and intimate reading of what caring as Lingua Franca might entail in the context of the project Diasporic Self: Black Togetherness as Lingua Franca. Dipsaus is a Dutch podcast for and by women of colour, founded by Ebissé Rouw, Mariam El Maslouhi and Anousha Nzume. Writer and vlogger Olave Nduwanje is a regular contributor.